New masthead - the original masthead was built of cast aluminum and lacked a spinnaker crane. Bristol had the masthead, the mast step and the spreader sockets custom fabricated; but after some research I was lucky enough to find Metalmast Marine, in Putnam, CT. One of the owners was involved in the spar work for Bristol at that time. They made a new masthead that bolted on perfectly. The original masthead was open with no guard to keep the halyards from jumping their sheaves, and allowing water inside the mast. The new masthead is sealed to keep out any rain, and the sheaves are properly covered. The smaller antenna is for a cell phone. I have removed all the gear from the masthead in this photo. The aluminum is weathered from 10 years of salt air, but because I used silicone sealant on the thread of all the tapped screws, everything came off easily. Another view of the Metalmast masthead showing the spinnaker crane. 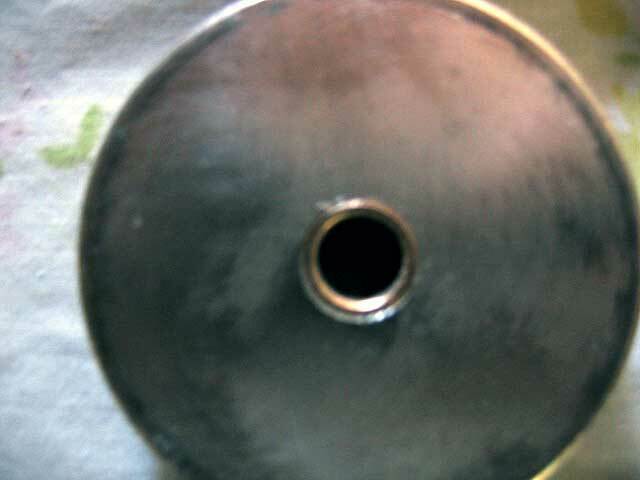 You can see clearly when I used Teflon gaskets under the fittings; the aluminum is still bright. 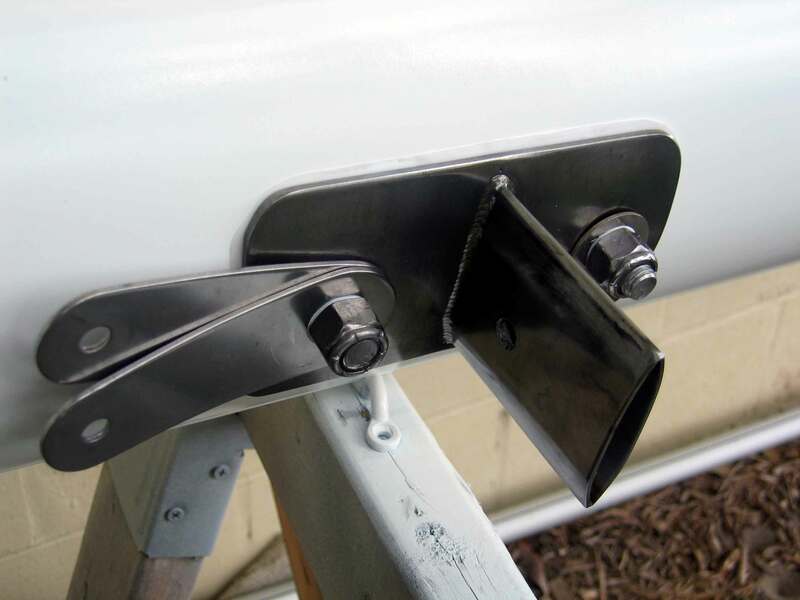 This photo shows how effective the Teflon gaskets and the silicone sealant are at preventing galvanic corrosion between the aluminum and the stainless steel fittings. The aluminum underneath is clean and bright. 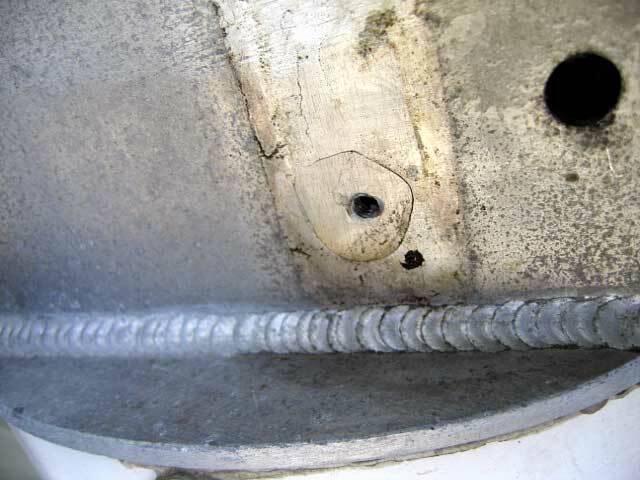 Here is an example of the level of quality of Metalmast's work. 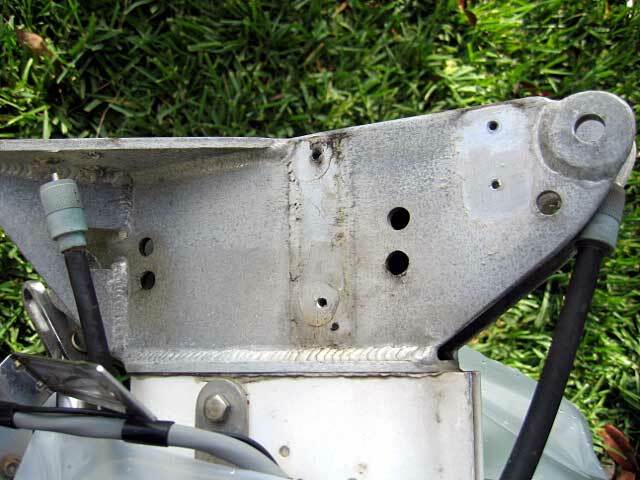 Notice the welds on the underside of the spinnaker crane. 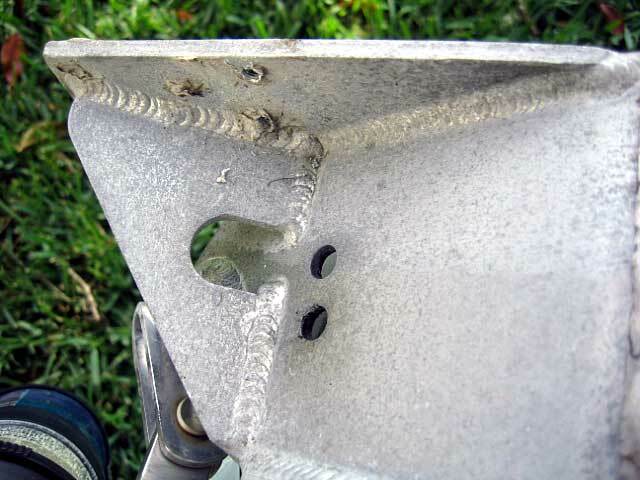 A close up of the quality of the welds in this assembly. Here is everything removed from the masthead. Other than polishing some of the aluminum and stainless, it will all go back on, using the same screws. Here is an example of the thin Teflon gasket I cut for the stainless brackets that mounted on the masthead. 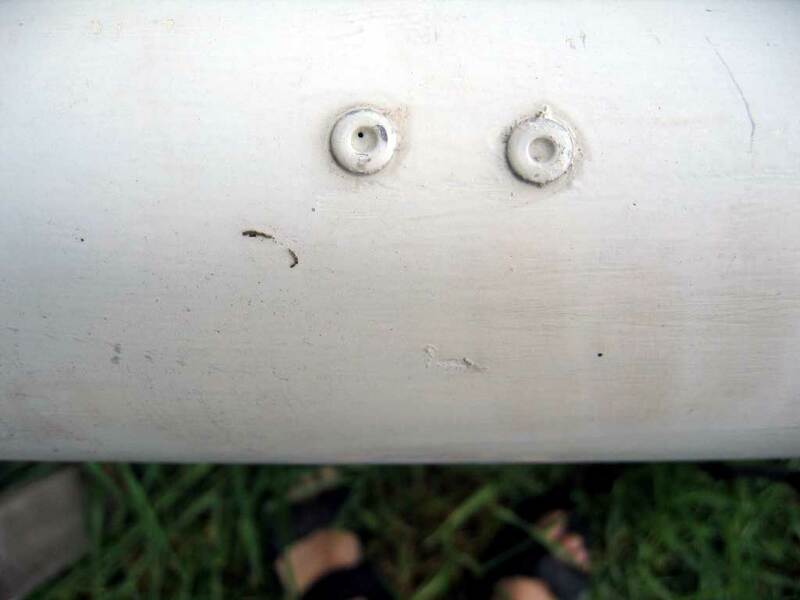 The screw holes were made with a paper hole punch. 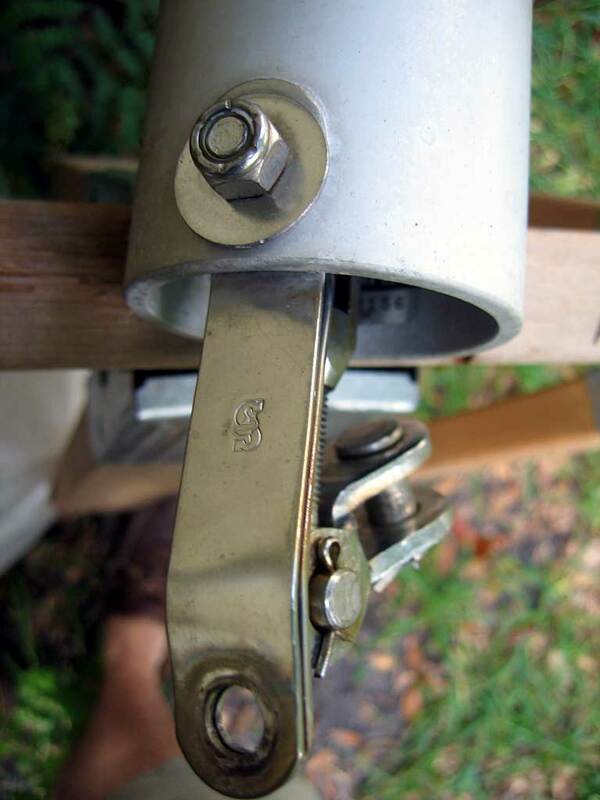 Finally a shot of one of the aluminum halyard sheaves showing the pressed in bronze bearing. The folks at Metalmast do very high quality work. I highly recommend them. Originally, the reason I started researching the spars at Bristol was because of a chapter in Jud Henderson's wonderful book on rigging. 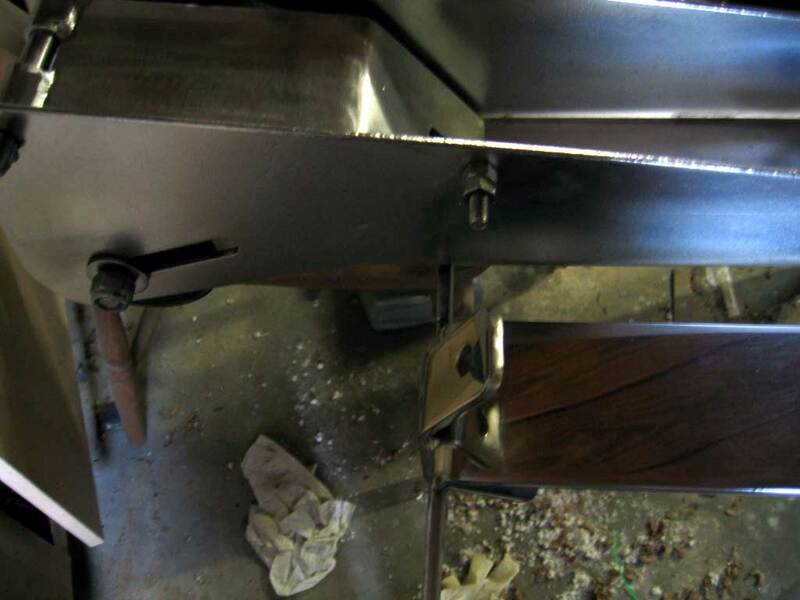 He notes the dangers of using cast aluminum under pressure--the perfect example being spreader sockets, which can literally explode without warning . 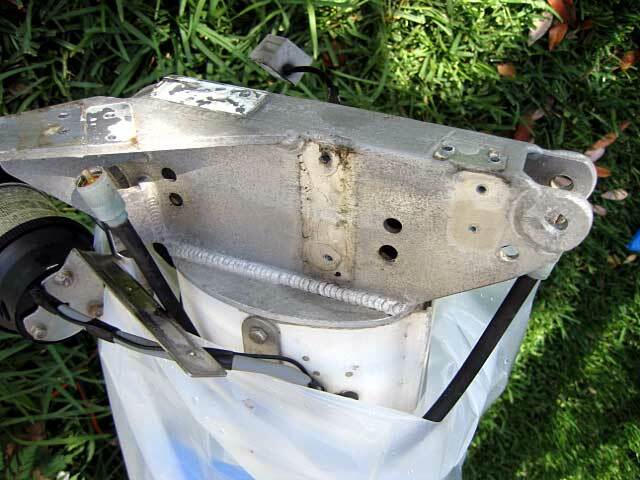 And guess what: Bristol used these cheesy, weathered, cast aluminum spreader sockets. Metalmast made me new stainless steel sockets and tapered aluminum spreaders, It's your rig folks. The new spreaders and sockets were around $300. Think about it. Here you see the hounds added for the inner forestay. The hounds are a Schaefer model that fit perfectly. 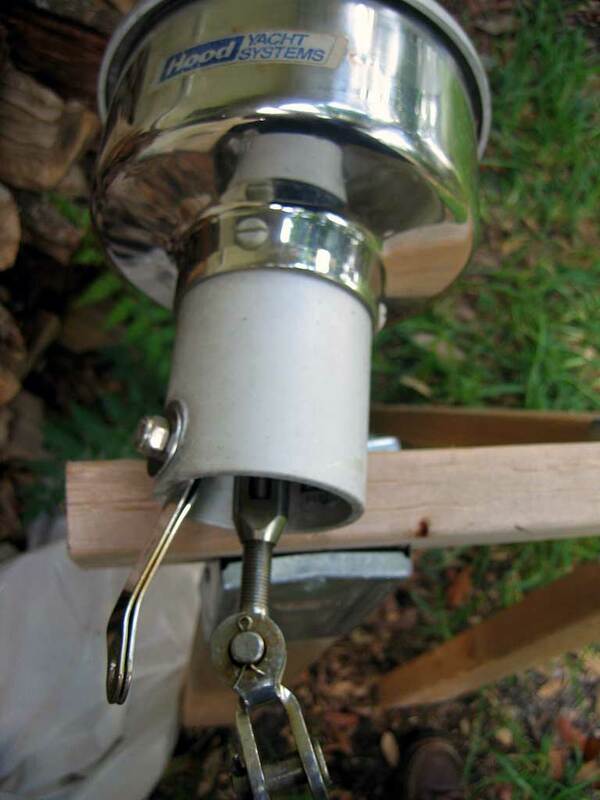 It is attached with 1/4" machine screws tapped into the mast. 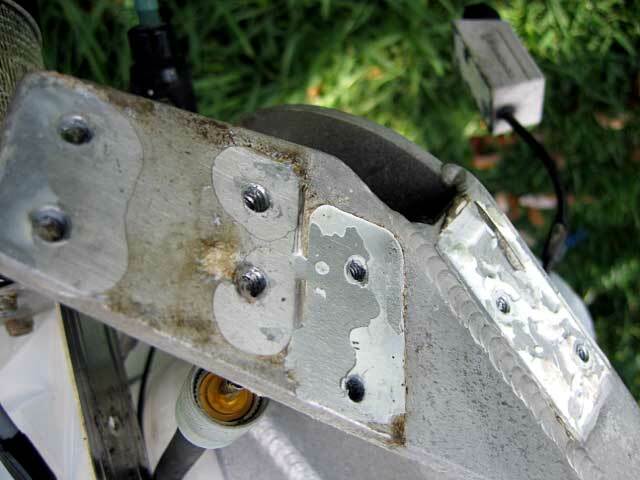 Note that all the fasteners are isolated from the aluminum and potential corrosion with silicone sealant. I also laid thin sheets of Teflon® between anything stainless and the painted spar (any inert material, like Delrin® for instance, would work). If not protected in this way or with a similar type of isolation, the Awlgrip paint would have bubbled and lifted from galvanic corrosion. In order to counter the forward bending effect of the inner forestay I added running backstay tangs at the height of the hounds. The tangs are Schaefer parts, thru-bolted with a 3/8" s/s bolt. 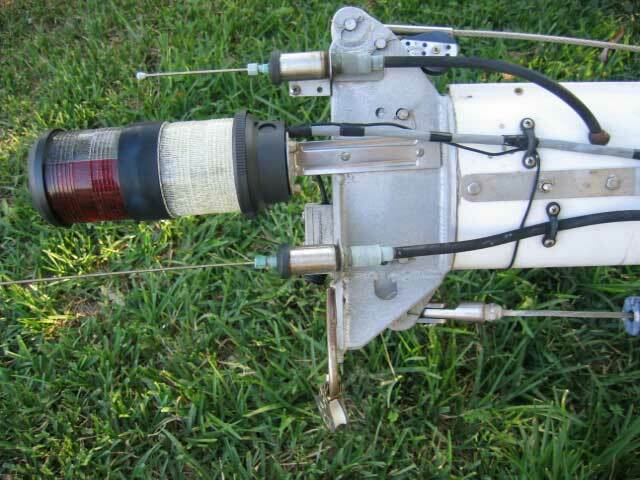 The back stays are vinyl covered 3/16" 7x9 wire that terminate at the level of the mast winches. 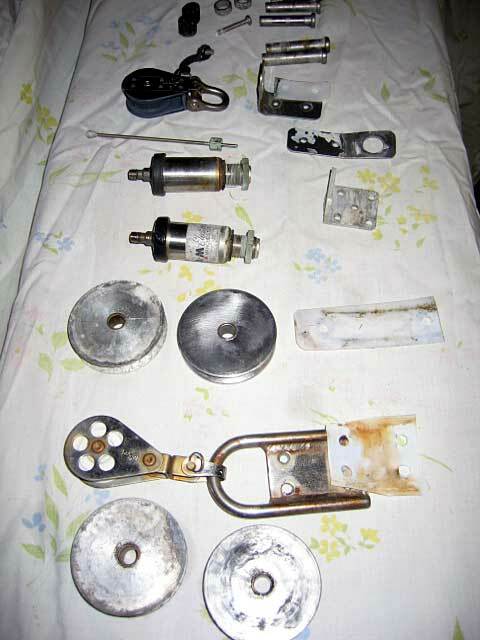 I attach 4-part block and tackle to each for tensioning. 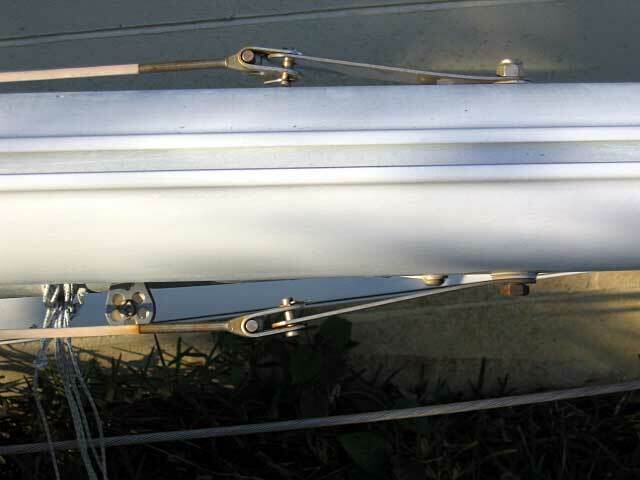 The Hood Seafurl system is mounted to the bow using two similarly bent tangs, thru-bolted through the tube of the drum, and mounted to the edge of the Windline anchor roller. 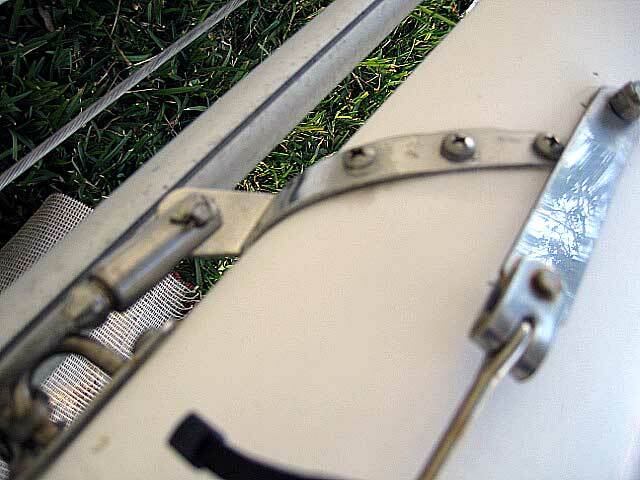 Here is a close up of the tangs attached to the furling tube. 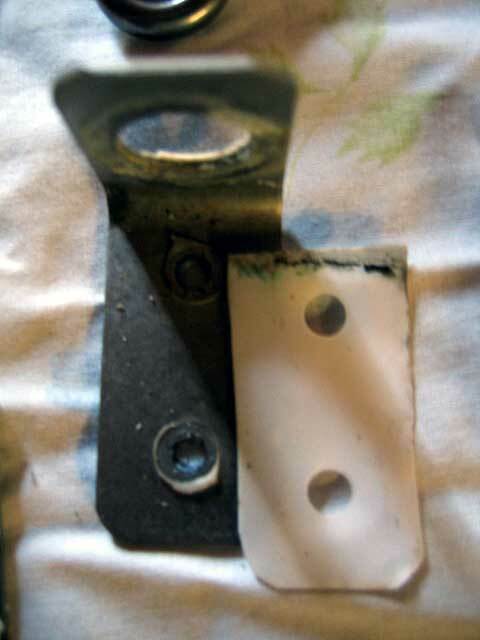 To mount the other end of the tangs to the anchor roller, I drilled a 5/16" hole through the edge and secured a bolt. 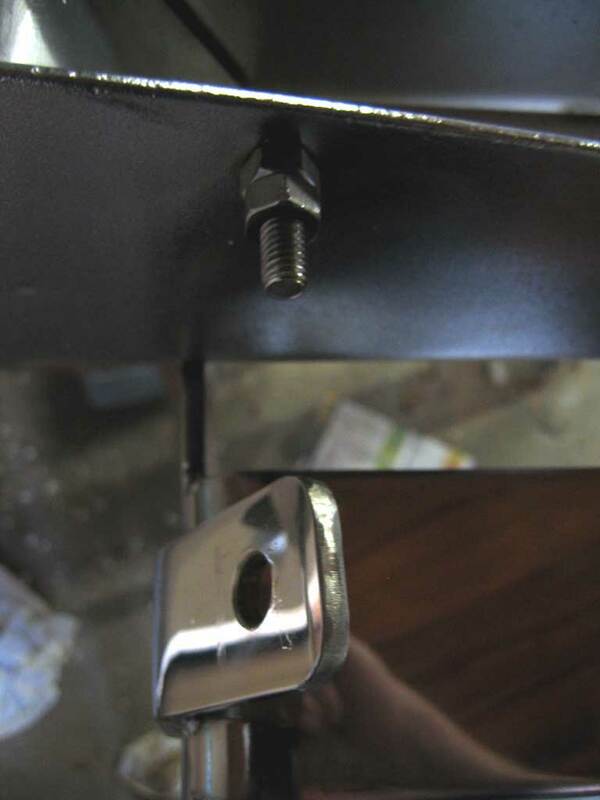 The bolt protrudes about 3/4" to allow the tangs to be bolted in place. When I rewired the mast I added pvc conduit to protect the wires. 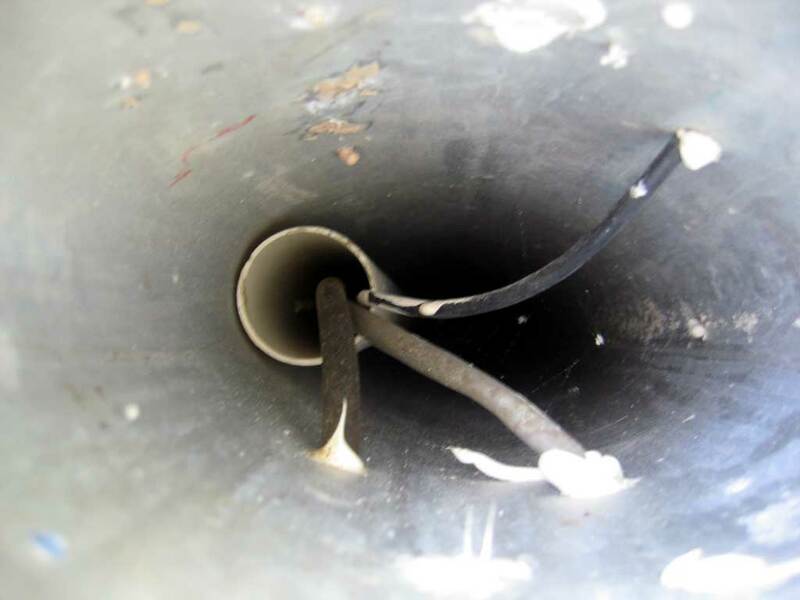 It's 1.25 thin wall pipe--plenty of room for the wires. 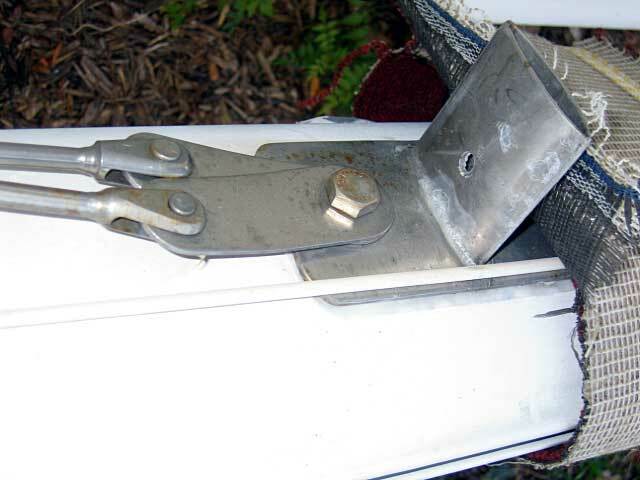 To hold the conduit in place, I pop riveted it every 6 feet to the inside front of the mast.